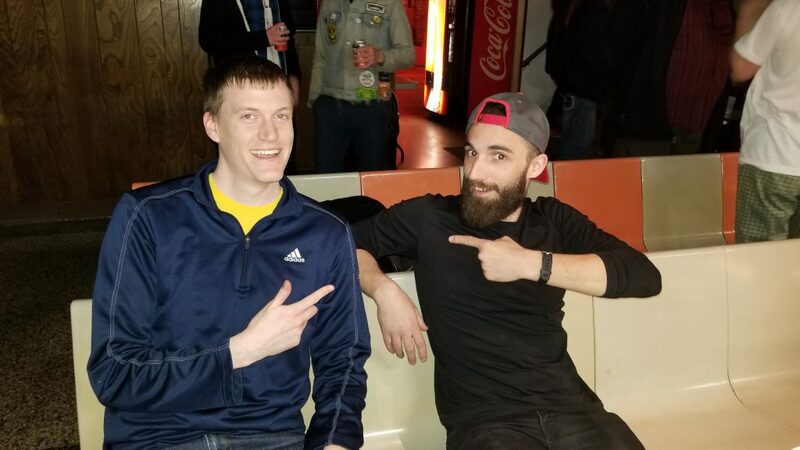 Cleveland connections to at least two of the nominees! Nominated for Best Animated Feature, Spider-Man: Into The Spider-Verse’s local tie is Cleveland Native Brian Michael Bendis, former Marvel Comics writer and executive producer of the film. Bendis created the main character Miles Morales. 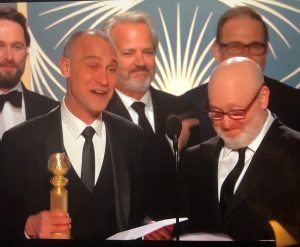 Into The Spider-Verse also won a Golden Globe® this year for Best Motion Picture – Animated. Paul Schrader, writer and director of Best Original Screenplay nominee First Reformed, has filmed in Cleveland twice over the years! Schrader directed the film Dog Eat Dog, which starred actors Nicolas Cage and Willem Dafoe, that shot in Cleveland in 2015, and he wrote and directed the film Light of Day which was made in Cleveland in 1987 and starred Michael J. Fox! See all the Oscar® nominees HERE. It took only until July 12, or 12 days after Ohio’s fiscal year began in 2018, for Ivan Schwarz to run out of money. In that short time, he said, the state distributed all of its $40 million annual film tax credit allocation to applicants. It’s Schwarz’s job as president of the Greater Cleveland Film Commission to convince movie and television companies, as well as producers of commercials and industrial films, to bring their work to Northeast Ohio. He lures them with financial incentives from the pool of tax credits created by the Ohio Legislature. But, he said, the $40 million cap constrains his plan for a robust, year-round film industry that creates good jobs in Northeast Ohio. Schwarz wants to push through legislation this year to increase the motion picture tax credit, arguing that every dollar spent by the state returns two dollars in economic activity, and that there is demand from producers to shoot in Cleveland. In recent years, Northeast Ohio has been the backdrop for a number of movie and television productions. 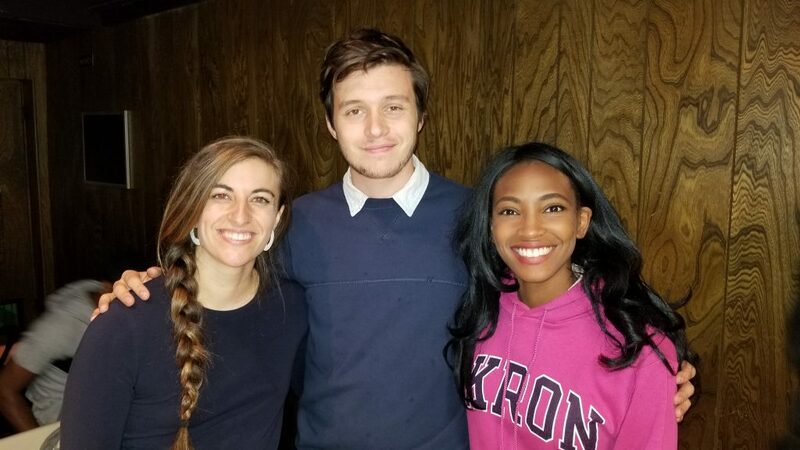 In May, a cast and crew shot in Ohio City and elsewhere around Cleveland for “The Last Summer,” a romantic comedy expected to be released on Netflix later this year. That same month, a production company was filming “I See You” in Chagrin Falls and Lakewood. No release date has been announced for that film. A bill introduced by term-limited state Rep. Kirk Schuring of Canton (who is moving to the Ohio Senate) to increase the pool to $100 million died at the end of the last legislative session on Dec. 31. Schwarz hopes the next legislative session, which convenes Monday, Jan. 7, will make it happen. Schwarz believes an increase in the tax credit can bring entertainment industry jobs, and a thriving year-round industry, to Northeast Ohio. An increase in film production could attract someone to build a film studio, he believes, which would attract even more jobs. He told the Ohio House Government Accountability and Oversight Committee in March that since the state tax incentive was created in 2009, it has had a $572 million impact on the state’s economy. That includes actual labor costs, the cost of goods and services purchased, the taxes paid, and an estimate of the indirect spending induced by the production outlays. The legislation Schwarz and the five other regional film commissions in the state pushed, House Bill 525, would have raised the maximum amount of credits to $100 million per fiscal year. It also would have extended eligibility to live theater productions that were either in rehearsal or would be performed in Ohio for six performances a week for five weeks. States have been using financial incentives to lure movie and television companies after productions started filming in Canada after 1997, when that country began offering incentives. Schwarz said a larger tax credit allocation is key to building the Northeast Ohio entertainment industry he foresees, an industry that attracts creative talent to the region. 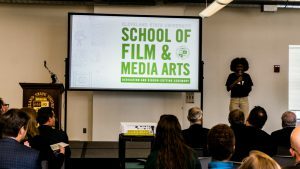 He said the new School of Film, Television and Interactive Media at Cleveland State University also will be an attraction for, and will benefit from, additional production in Northeast Ohio. 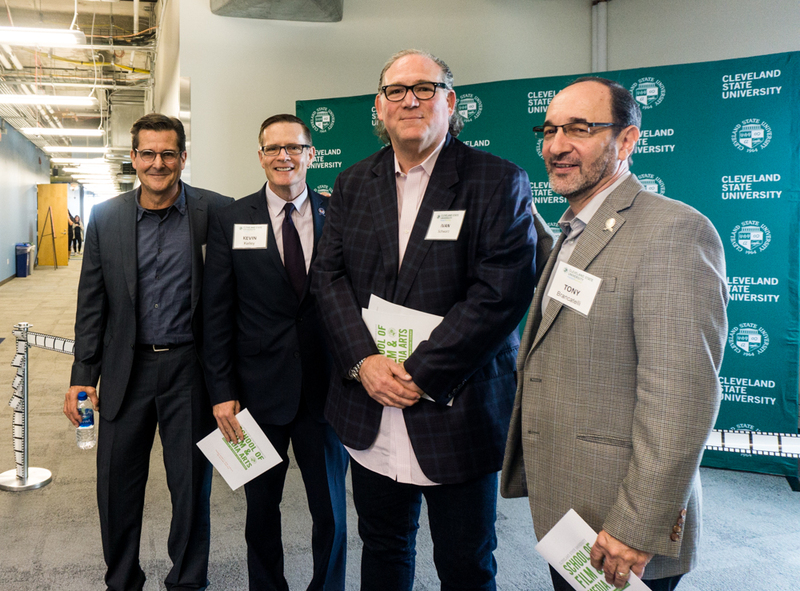 Frederic Lahey, director of CSU’s new School of Film, Television and Interactive Media, supports Schwarz’s efforts to increase the tax credit. While Schwarz doesn’t talk about productions that are or may be coming to Northeast Ohio, much less the ones that got away, he told the House Government Accountability and Oversight Committee in March that the state has lost more than $1 billion in production it could have had if the incentives were higher. As it is, a 2015 study by Cleveland State University’s Center for Economic Development found that every dollar the state gave in tax credits pumped $2.01 back into the state’s economy. In Northeast Ohio, between 2011 and 2015, according to the study, film production created $50.1 million in labor income and $81.2 million in purchased goods and services — hotel rooms, restaurants, cleaning services, lighting equipment, vintage appliance rental and many other services. The production companies and their workers also paid $11 million in federal taxes and $4.8 million in state and local taxes. The production of “Draft Day,” a 2014 football drama, spent $18.2 million in Northeast Ohio, according to the Cleveland State study. Eligible productions receive a tax credit equal to 30% of the amount spent in Ohio on cast and crew wages, as well as goods or services purchased and consumed in Ohio. The credit may be taken against personal income or the commercial activities tax. In 2018, 31 states, Washington D.C., Puerto Rico and the U.S. Virgin Islands offered film incentive programs, according to the National Conference of State Legislatures (NCSL). That’s down from 44 states in 2009. States that eliminated the credits usually did so because of a lack of economic benefit to the state. West Virginia, which ended its tax credit in 2018, had an annual cap of $5 million but issued only $15 million over 10 years, according to the NCSL report. At the same time, however, Pennsylvania increased its annual incentive cap by $5 million to $65 million for fiscal 2018, though several legislators have proposed raising the cap to as much as $100 million or even eliminating the cap altogether. Although Schwarz attributes the failure of HB 525 to turmoil in the Ohio House, the bill did have some opposition. Both the Buckeye Institute, a conservative think tank, and Policy Matters Ohio, a liberal advocacy group, question the value of the incentive. Wendy Patton, senior project director at Policy Matters Ohio, a liberal advocacy group, told the House committee that a study by FilmLA, the Los Angeles film office, contended that state tax credits for motion picture production were a response to filmmakers fleeing Hollywood for Canada and cited a study suggesting federal legislation to put an end to the interstate incentive competition. But to hear Schwarz talk about it, producers want to shoot in Ohio, but they have to follow the incentive dollars. Congratulations to executive producer Graham Yost for The Americans 2019 Golden Globe® win for Best Drama Series. 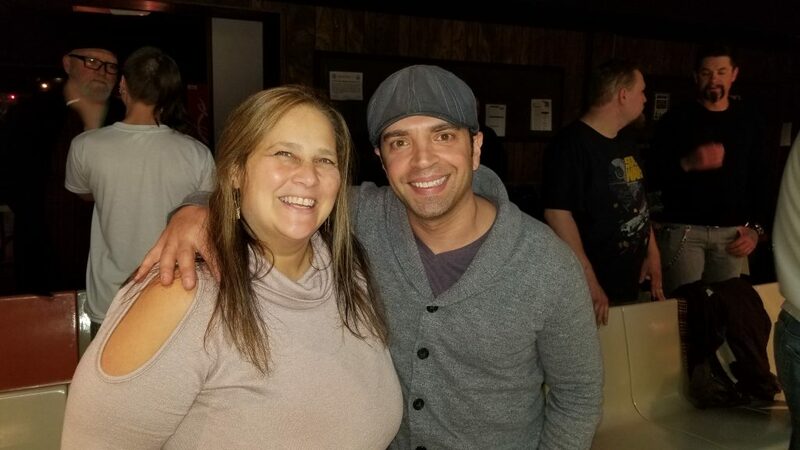 Graham was a special guest at our Behind the Camera with Band of Brothers Reunion Event on November 10th, 2018. 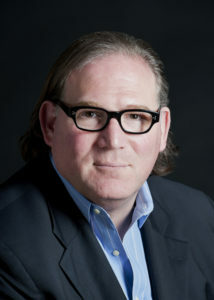 Graham wrote two episodes for the HBO series, which won six Emmy® Awards and a Golden Globe®. 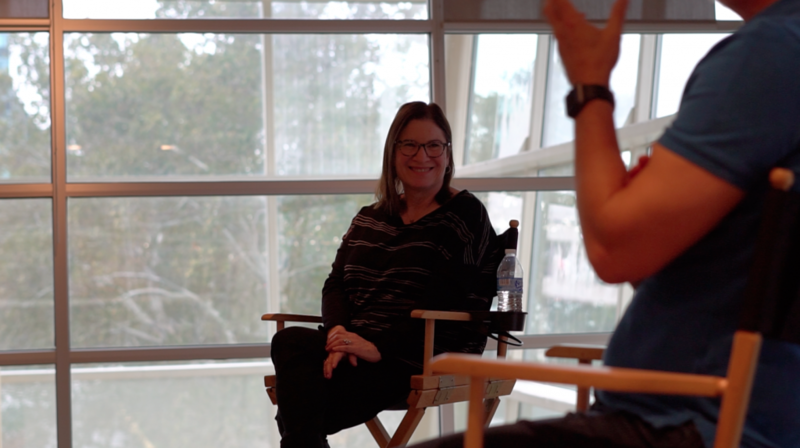 Graham also joined Band of Brothers casting director Meg Liberman for an exclusive, sold-out workshop the morning of the main event. 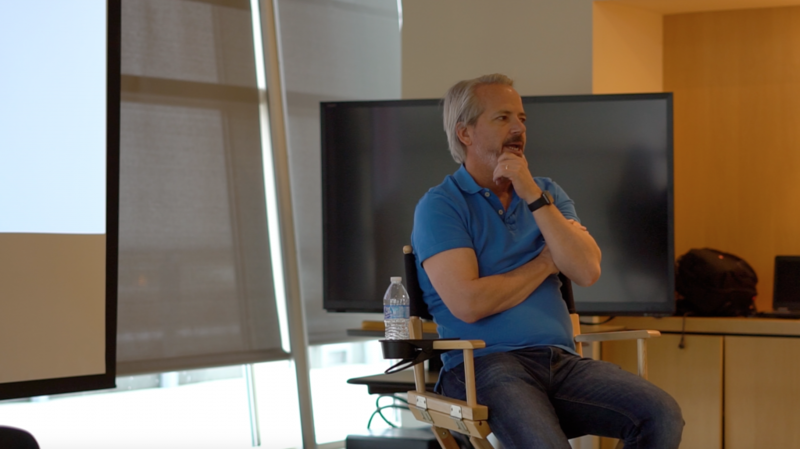 Graham and Meg gave a behind-the-scenes look into the making of the show, and discussed screenwriting, producing, and casting for film and TV. See more from our Behind the Camera Events with Graham, Meg, and cast members HERE. for being selected for the 2019 Sundance Film Festival! Native Son has been chosen as one of the films which will open the festival. Directed by Rashid Johnson, written by Suzan-Lori Parks, and produced by Matthew Perniciaro and Michael Sherman, Native Son is a modern retelling of Richard Wright’s classic novel. 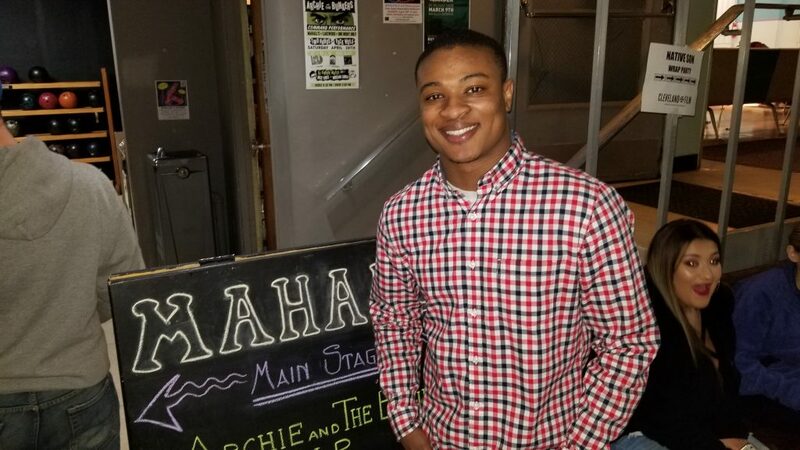 A young African-American man named Bigger Thomas takes a job working for a highly influential Chicago family, a decision that will change the course of his life forever. The cast is comprised of Ashton Sanders, Margaret Qually, Nick Robinson, KiKi Layne, Bill Camp, and Sanaa Lathan. 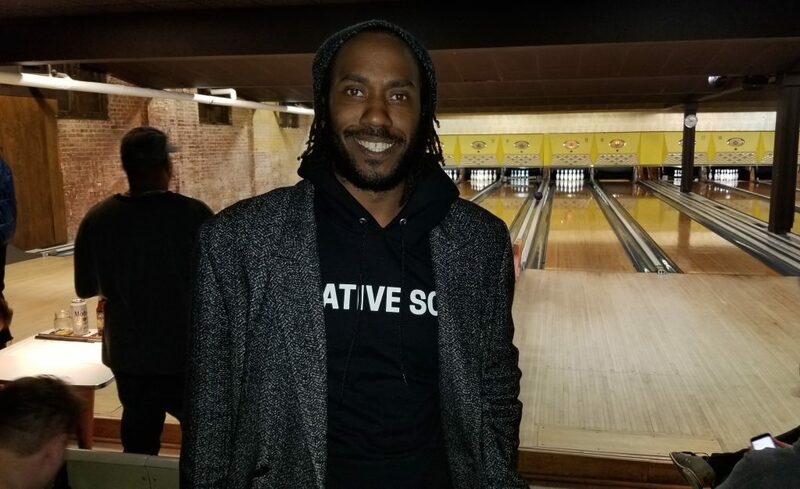 When it filmed in Cleveland earlier this year, Native Son created over 100 jobs, with about 80 of those going to local crew! This film also employed over 200 extras, and engaged many local businesses. Them That Follow will also have its world premiere at Sundance. 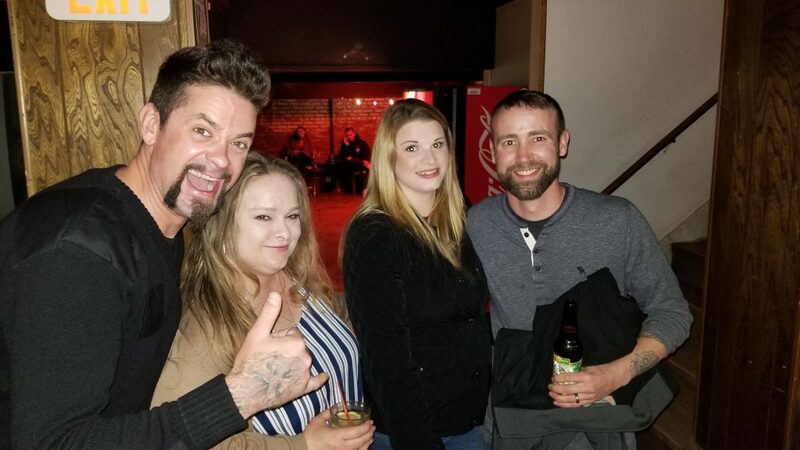 Directed and written by Britt Poulton and Dan Madison Savage, and produced by Bradley Gallo, Michael Helfant, Gerard Butler, Alan Siegel, and Danielle Robinson, Them That Follow was filmed in 2017 around the Youngstown and Salem area. Inside a snake-handling church deep in Appalachia, a forbidden relationship forces a pastor’s daughter to confront her community’s deadly tradition. The cast includes Olivia Colman, Kaitlyn Dever, Alice Englert, Jim Gaffigan, Walton Goggins, and Thomas Mann. Them That Follow created jobs for about 40 local crew members during production. The film also required over 200 local extras and engaged many local businesses in their time here. Both films are among the 16 narrative feature films to compete in Sundance’s U.S. Dramatic Competition. This year’s U.S. Dramatic Competition boasts a diverse number of voices between the films in this category; 53% of the directors are women, 41% are people of color, and 18% identify as LGBTQIA+. We wish both films the best of luck! Ohio’s First Stand-Alone Film School is Now Open! 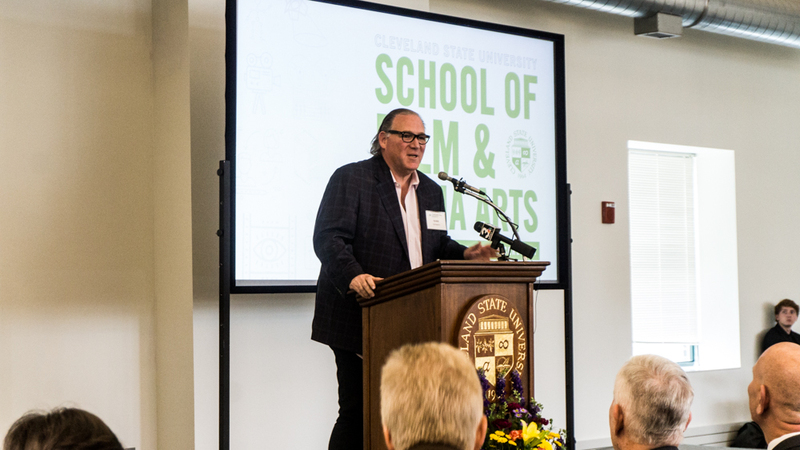 President and CEO Ivan Schwarz spoke passionately yesterday about the potential of the Cleveland film industry, and the importance of the CSU School of Film & Media Arts. 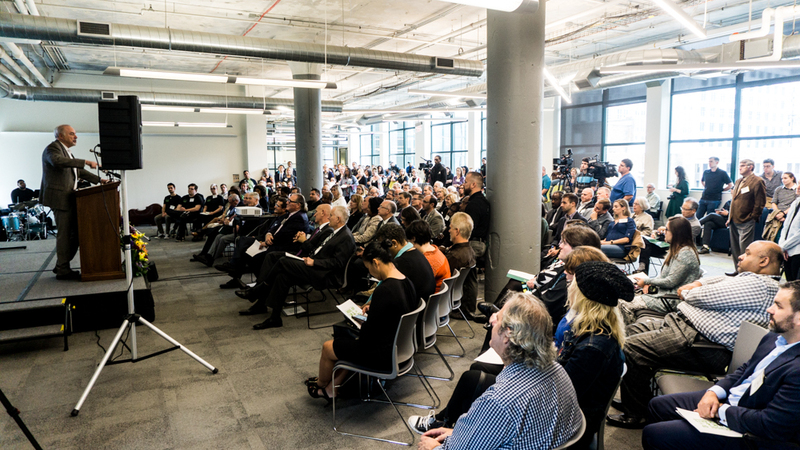 The new school had its official dedication and ribbon-cutting ceremony yesterday; a culmination of years of hard work on the part of the Greater Cleveland Film Commission, Cleveland State University leaders, and Ohio and city representatives. “Everybody’s going to be ready to go into the workforce”, says student Thyra Chaney. Originally from California, Thyra captured it perfectly. 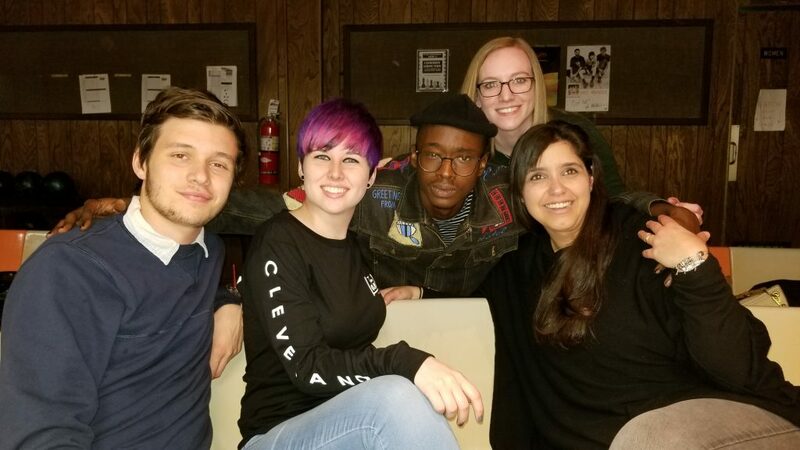 The next generation of filmmakers are gaining the skills, knowledge, and experience they will need in order to work in the fast-growing Cleveland film industry. We want to say a huge thank you to the cast and crew of the The Last Summer, which recently wrapped production!! Movie’s like this help keep the spotlight on Northeast Ohio’s media production industry, providing jobs for our local professionals and generating economic impact. 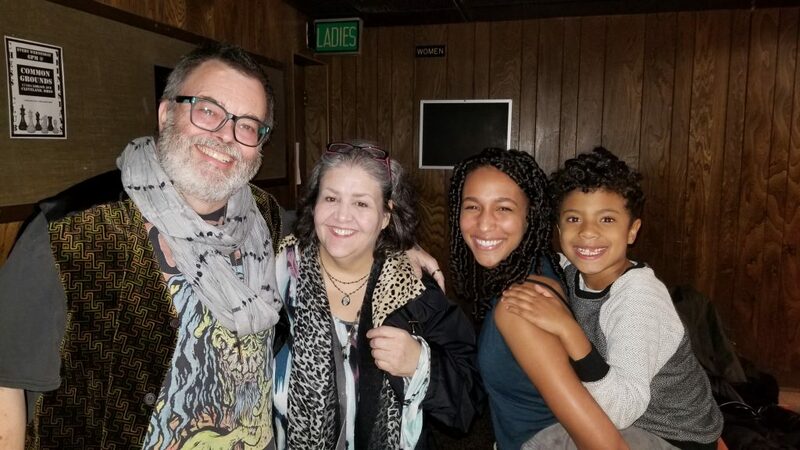 Hear what the crew had to say about the Greater Cleveland Film Commission and filming in Cleveland! We want to say thank you to the cast and crews from Native Son and I See You, which have both wrapped production. Both productions helped keep the spotlight on Northeast Ohio’s media production industry, providing jobs for our local professionals and generating economic impact. 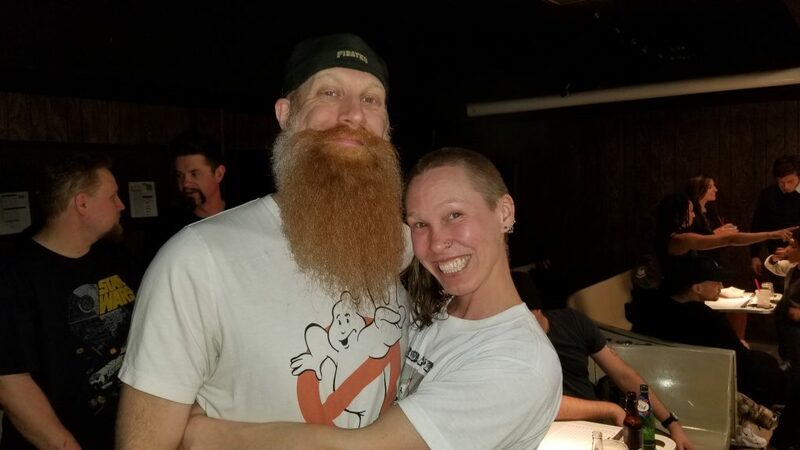 Check out these photos from Native Son‘s Wrap Party! and your representatives need to know you support it! 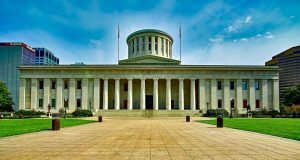 House Bill 525 would increase the Ohio Motion Picture Tax Credit from $40 million to $100 million, allowing for the creation of many more new jobs for the state, but more specifically, for Northeast Ohio. H.B. 525 would more than double the current film tax incentive and would also make some Broadway shows eligible for the benefit as well. Broadways shows that run in Ohio for at least five weeks, with at least six performances a week, would qualify for the tax credit, as would off-Broadway shows looking to work out the kinks before opening in New York City. With Cleveland having the second largest theater district outside of New York, that means shows could run for up to five months. The money spent on the incentive makes Ohio more competitive than other states when Hollywood and Broadway productions scout for production locations. If H.B. 525 is made into law, we will have one of, if not, the best incentive in the country because it will encompass theater production in addition to film and TV production. The passage of H.B. 525 will allow for the creation of a more permanent Ohio workforce in film, TV and live theater. With the tax credit being distributed twice a year, instead of the current annual award, it allows for greater flexibility to include more new projects as they become available, increasing the amount of production that can be happening at one time. H.B. 525 will require applicants to show the positive economic impact that their production would have on the state; the amount of money a production will receive will be based on their impact. Use these templates when you contact your representatives by email, phone, or mail! 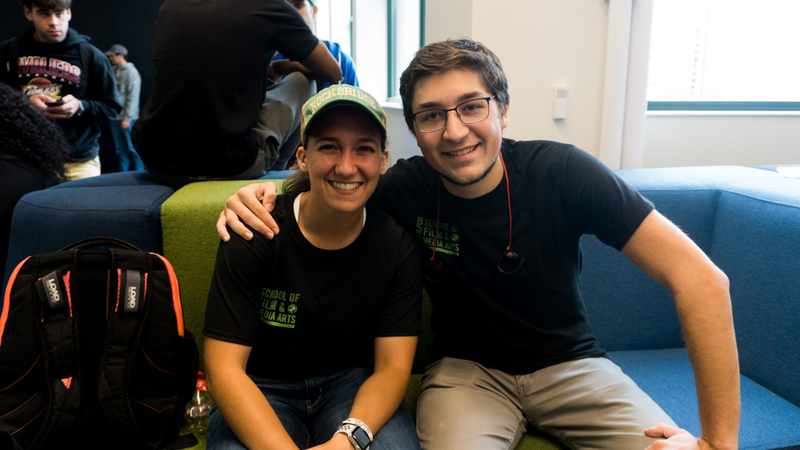 We are so excited to have The Last Summer filming in Cleveland this summer! The Last Summer is a romantic comedy starring K.J. Apa (Riverdale), Maia Mitchell (The Fosters), and Jacob Latimore (The Maze Runner). The film follows a group of friends as they spend their ‘last summer’ together before college as they get ready to take control of their lives and their futures for the first time. In true rom-com fashion, The Last Summer weaves the stories of its characters together as they wrestle with love, relationship troubles with their parents, and ultimately, the question of who they will be and what they will do with their lives. The Last Summer began shooting on May 7th, and will be in production around Northeast Ohio through June. We are so excited to have I See You filming in Cleveland this summer! I See You is a thriller directed by Adam Randall (Netflix’s iBoy) and written by Devon Graye. The film will star Helen Hunt (Twister) as the wife of a lead investigator in a child abduction case which has brought a spotlight onto a case from the past. The investigator struggles to find a way to forgive his wife for cheating, and while she struggles with guilt, she begins to lose her grip on reality. Soon, a malicious presence begins to manifest itself in their home, and puts their young son in mortal danger. Zodiac Pictures’ Matt Waldeck is the producer for I See You, with Ben Hecht as executive producer alongside Hilary Davis, Stephen Kelliher and Patrick Howson for Bankside Films, and Phil Hunt and Compton Ross for Head Gear Films. I See You began filming on May 7th, and will be in production through June. Want to be an extra on I See You? Click HERE for details!